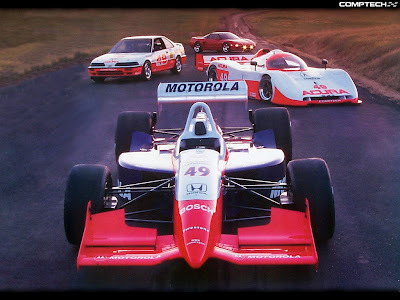 With more than 20 years of involvement in motor sports and the automotive industry, Comptech USA is closing its doors. These specialist are dedicated to developing the fastest, safest, best handling, street legal Hondas and Acuras possible. "At Comptech USA, [they] recognize that properly tuning a vehicle to improve its performance involves more than grabbing a part off the shelf and making it 'fit' your car." Honda/Acura owners had the opportunity to enhance the performance of their cars using the same technology Comptech developed exclusively for International Motor Sports Associations (IMSA), Sports Car Club of America (SCCA), and Indy car racing. 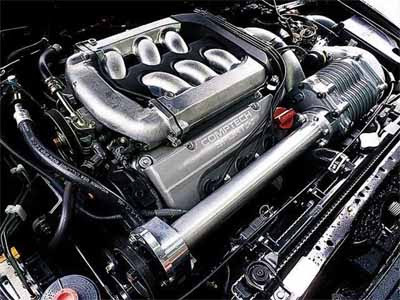 Comptech is well known for its superchargers, exhaust, and air intakes. Their superchargers usually adds approximately 50 Horsepower and 30 lb/ft. of Torque at the wheels. The word on the internet (confirmed by vendors) for their closing is due to low number of sells and not enough management. 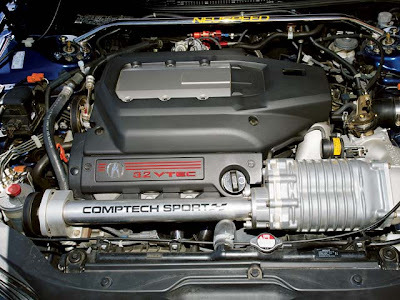 Comptech supercharged V6 Honda Accord. 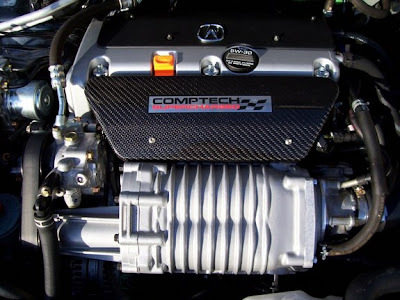 Comptech supercharged 2003 Acura CL. Comptech supercharged 2004 Acura TL. 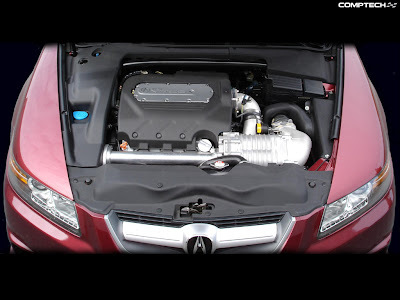 Comptech supercharger kit for Acura TSX. 2004 Acura TSX with Comptech supercharger installed. 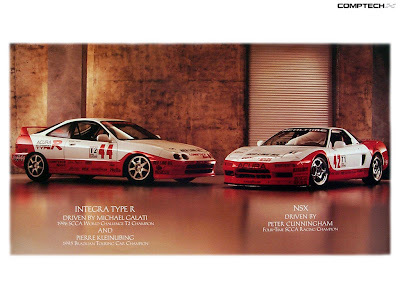 Old Comptech Realtime racing cars. This is sad news to many Honda/Acura enthusiasts. Instead of buying a new car, I wanted to supercharge my Acura TSX in the future (5+ years from now). However, I think what will happen in the future is that Comptech tuning parts will be harder to find and the prices will be outrageous. So if you have a Comptech part you're planning to pick up, go to your nearest Comptech vendor now! WOW! 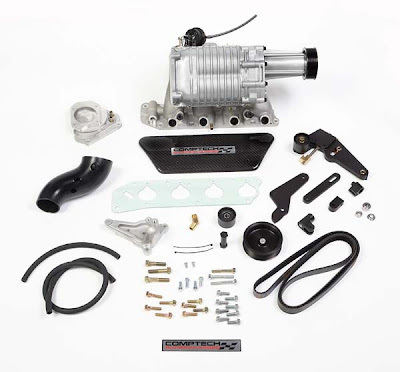 ~$10k for NSX supercharger kit. [UPDATE] CompTech no longer closing! The best place for mlb odds, mlb truth and rumor, yahoo mlb.